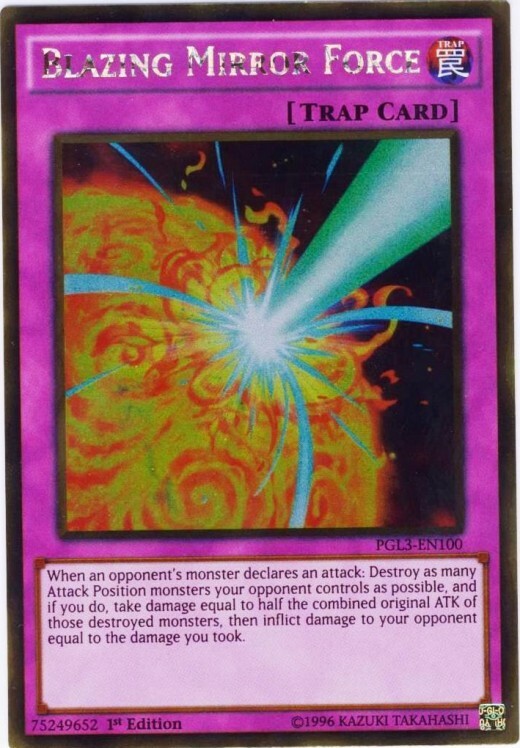 In Yu-Gi-Oh, players typically lose by having their life points run dry, usually achieved through battle damage received courtesy of attacking monsters. However, a less-common type of damage, effect, can achieve the same goal without the hassle of having to maintain your monster army. It also reliably shaves off an opponent's health because, unlike battle damage, you don't need to break through their monsters to inflict it. Effect damage can either form the crux of your deck or serve as support to finish off weakened opponents. 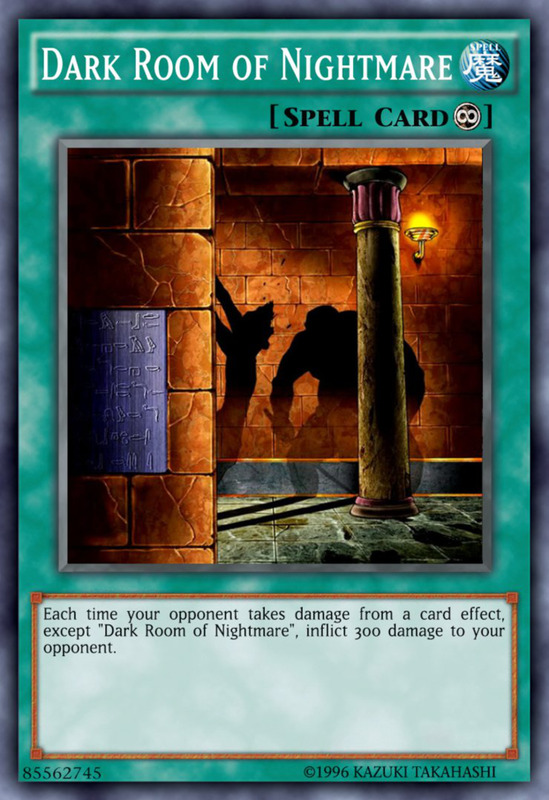 To see just how useful it can be, let's review the ten best spells/traps to craft your own effect damage deck in the Yu-Gi-Oh trading card game! Despite its name, Fairy Wind has nothing to do with fairy-type monsters. Rather, its effect destroys all other face-up spells/traps, inflicting 300 damage to both players for each. 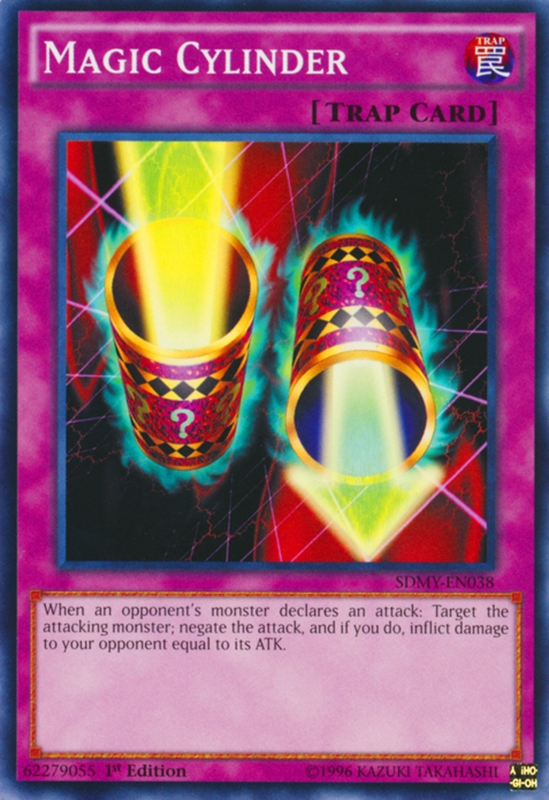 This both removes opposing tricks and damages your opponent, but exercise caution, as you can inadvertently nuke your own field and life if you're not careful. 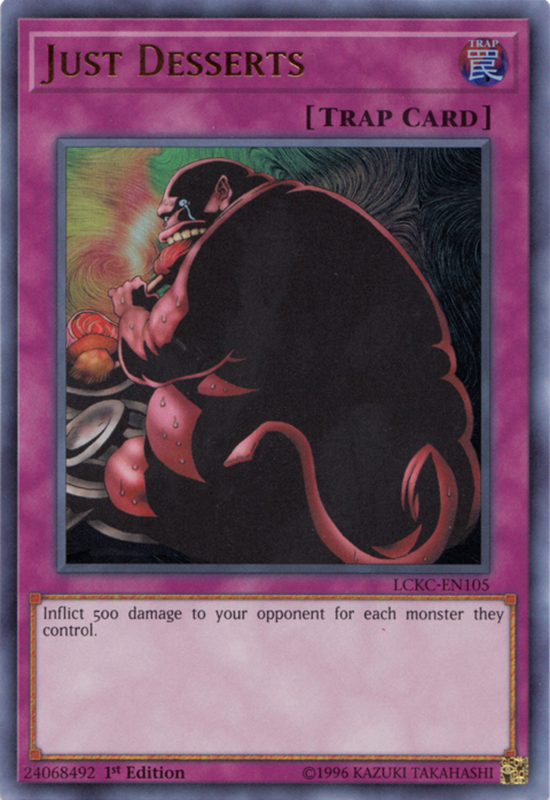 Unlike several of today's entries, this card often works better in non-effect decks as a way to complement battle damage. Be sure to stock your build with monsters and singe-use spells/traps to prevent destroying your own cards. This classic magic card can ends games if left unchecked. 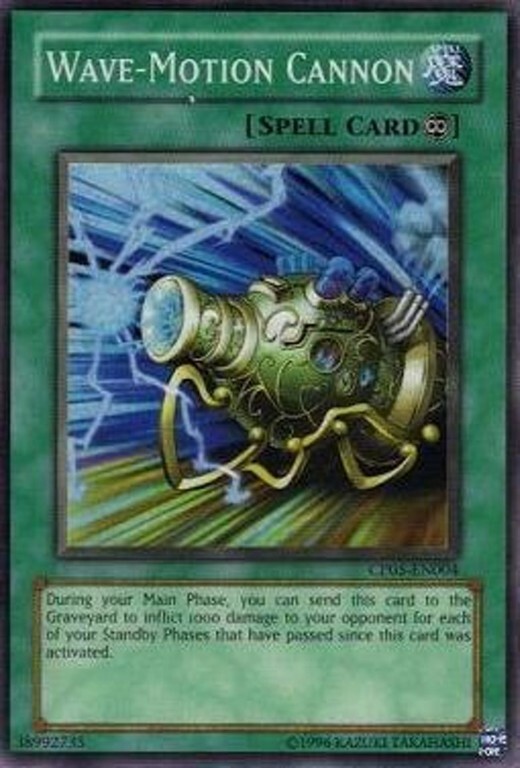 During either of your two main phases during your turn, you can send Wave-Motion Cannon to the graveyard to inflict 1000 damage for each of your standby phases that has passed since the card's arrival. With no cap to the total amount, Cannon can stick around as long as you need until it amasses enough power to wipe out your opponent in a single blow. Wave-Motion was brutal in the slower days of dueling, but with today's faster pace, it's admittedly harder to protect while it charges. Still, even if it falls before you can harness its ability, it'll at least take a spell/trap removal from your foe's arsenal. 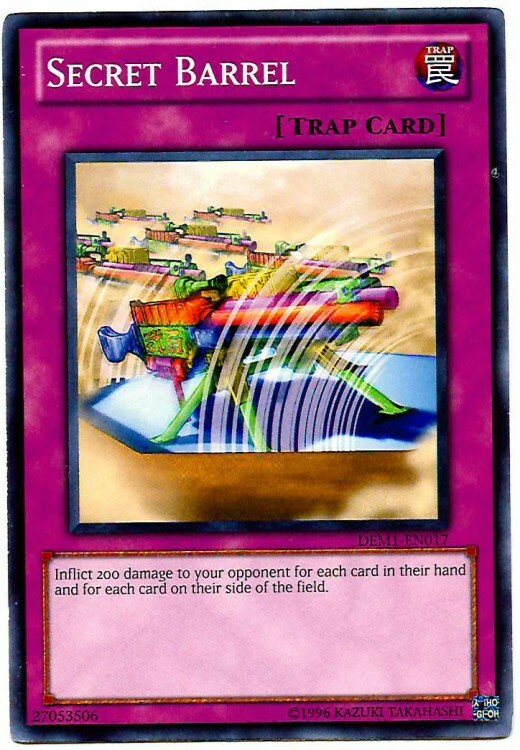 Despite its deceptive name, this trap combos with any archetype, not just the Gem-Knight series. During your own standby phases, Gem Flash simply inflicts damage to your opponent equal to the amount of continuous spells on the field times 300. Fortunately, both your and your opponent's cards tally towards the total. 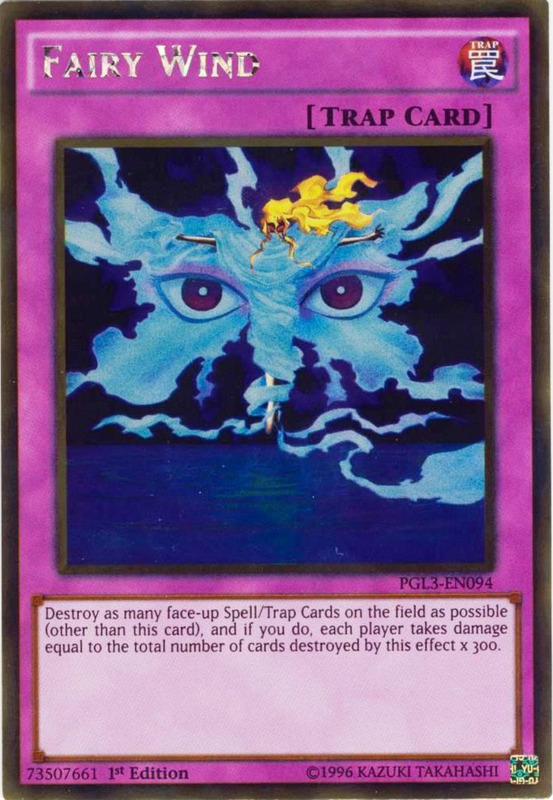 Against themes emphasizing magic cards (like the Spellbook series), you can repeatedly inflict 1000+ damage each turn! 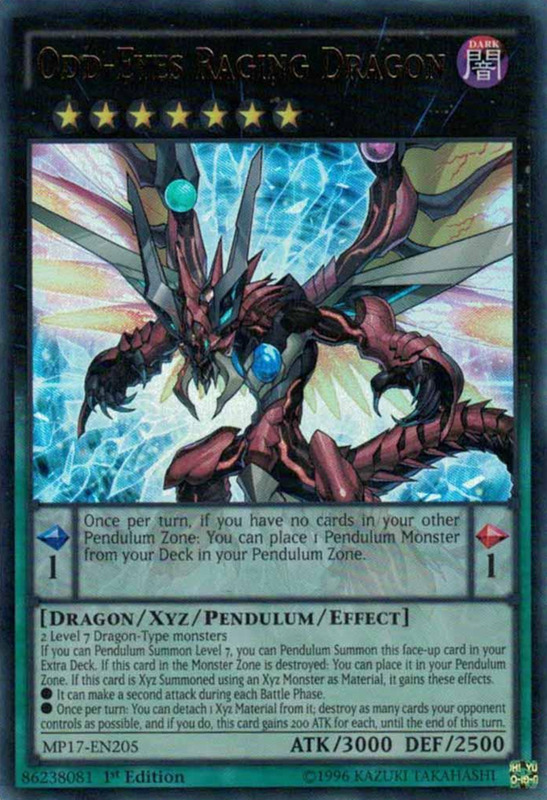 And since pendulum scales count as continuous spells, Gem Flash also works great when using or facing pendulum monsters. A card that's flirted with the ban list, Magic Cylinder is currently unrestricted in its usability. 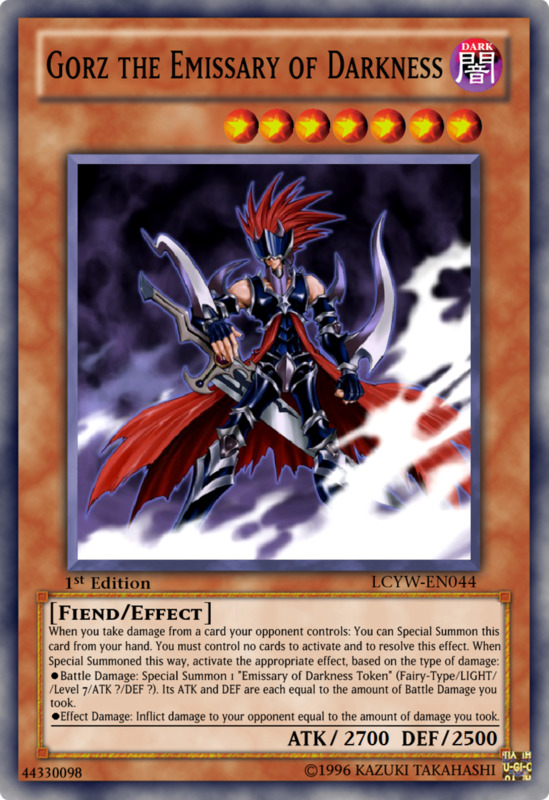 It not only negates an attack but slams your opponent with damage equal to the ATK of the deflected monster! What else can I say? Just when your opponent think they're going to land a big hit with "Dark Magician" or "Blue-Eyes White Dragon", turn the tables with this handy offense/defense blend. 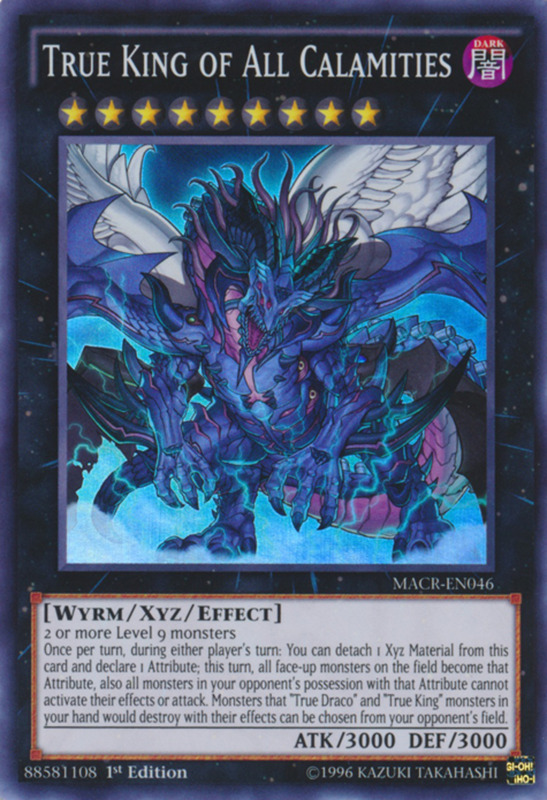 Any effect damage cards that double as stall tactics work great; most effect-damage decks are weaker in terms of monsters, meaning you'll need to shield yourself as you gradually produce effect damage. 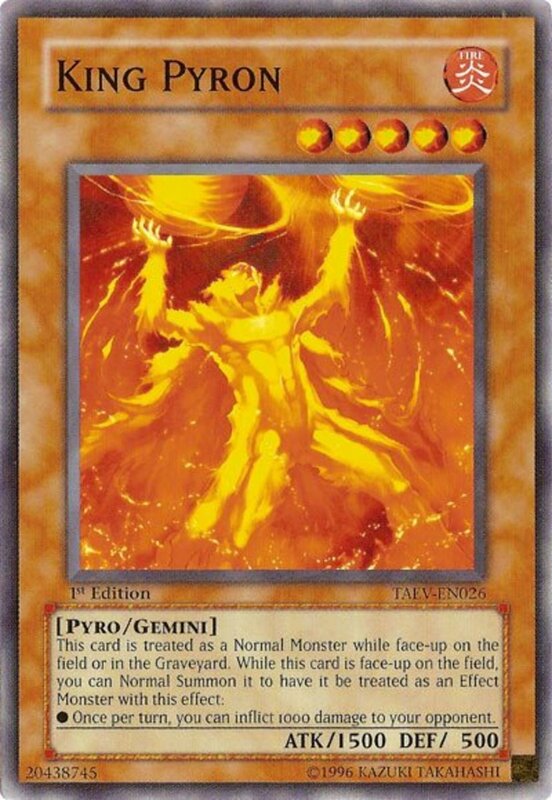 Enter Blazing Mirror Force, which may not be as renowned as its infamous counterparts "Mirror Force" and "Drowning Mirror Force", but exceeds them in terms of burn damage. Blazing mimics the default Mirror Force, destroying all opposing attack position monsters when one declares an attack, but also smashes both players for half the total original ATK of the defeated monsters (keep those damage calculators handy). Although this hurts you as well as your opponent, your stall cards should mean you'll have the life to spare while your opponent's will be dwindling with your indirect bombardments. Or, for another safety net, incorporate some life point recovery into your build. This continuous card works great in devoted burn decks: whenever a source other than itself lands effect damage on your opponent, Dark Room adds another 300 to that amount. If you focus your energy towards this end, Dark Room can quickly total thousands of damage, and since it's not once per turn, multiple copies can stack together. Additionally, note the text's handy wording: the effect triggers when your opponent takes damage from any card effect—including their own! Thus, any self-mutilating cards they supply will draw extra blood, but remember this only works with damage, not life paid as a cost (like with "Soul Charge"). These traps are similar in both name and function; Barrel inflicts 200 damage to your rival per card in their hand and field; Blast only counts units on the field, but scores 300 damage for each. Both are great ways to land damage while baiting spell/trap removals, especially since Blast's second effect nets another 1000 damage if destroyed by your opponent's effect. There's a reason several burn damage decks are called Chain Strike builds. 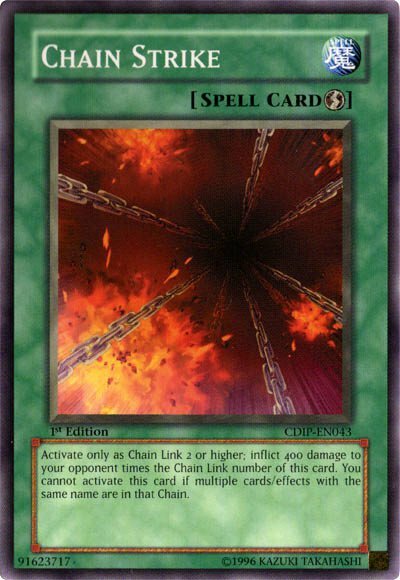 This quick-play spell smashes your rival for 400 damage times the chain link number Strike occupies; chain it immediately after other effects to get the most bang for your buck. 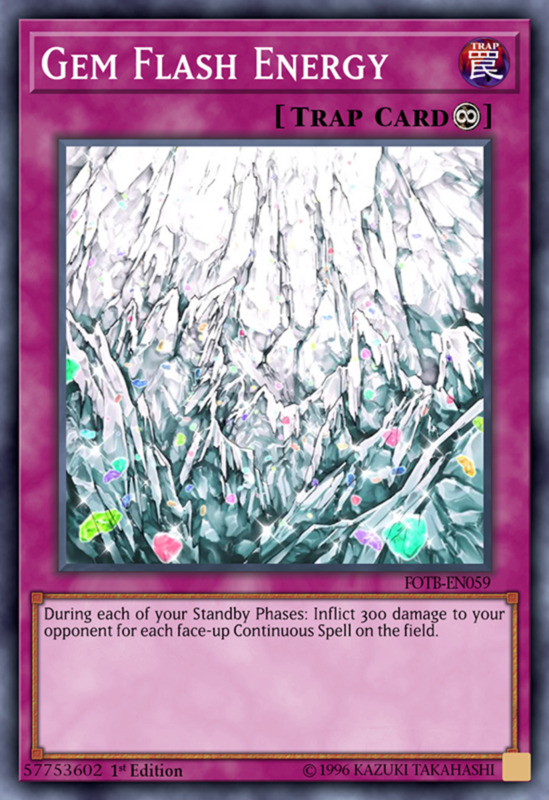 While you can't activate it if the current chain includes multiple cards or effects with the same name, a technicality lets you string two Chain Strikes together. At the second's activation, there will only be one in that chain, letting both your spells successfully resolve. 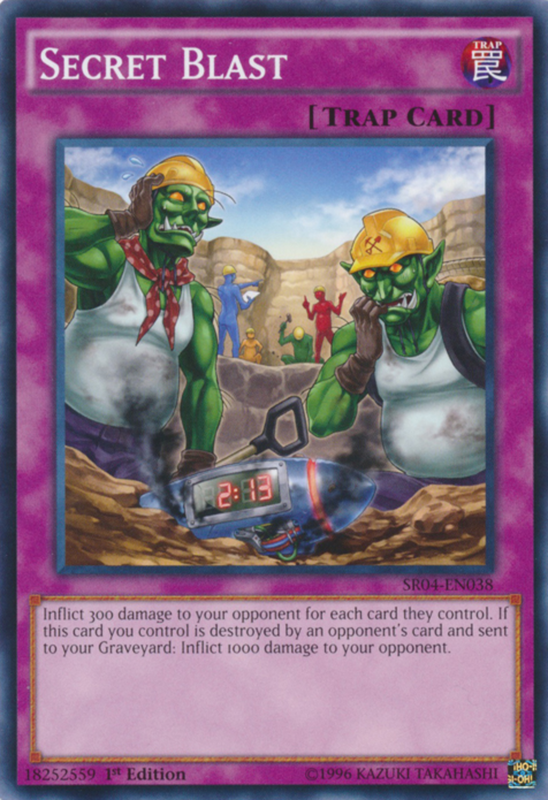 Currently semi-limited, you can only include two copies in your deck, so strive to combo them and land thousands of damage at once. 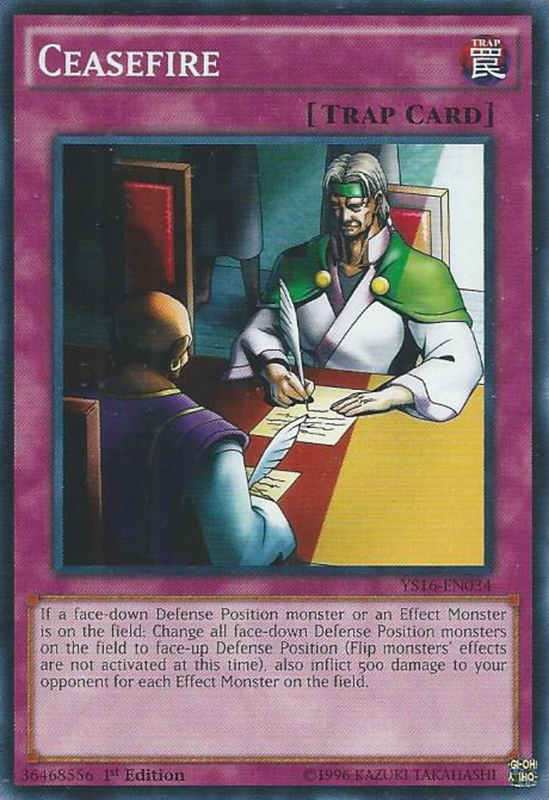 The ban status of this card have often shifted, but as of this writing, it's completely unrestricted in TCG deck usage. 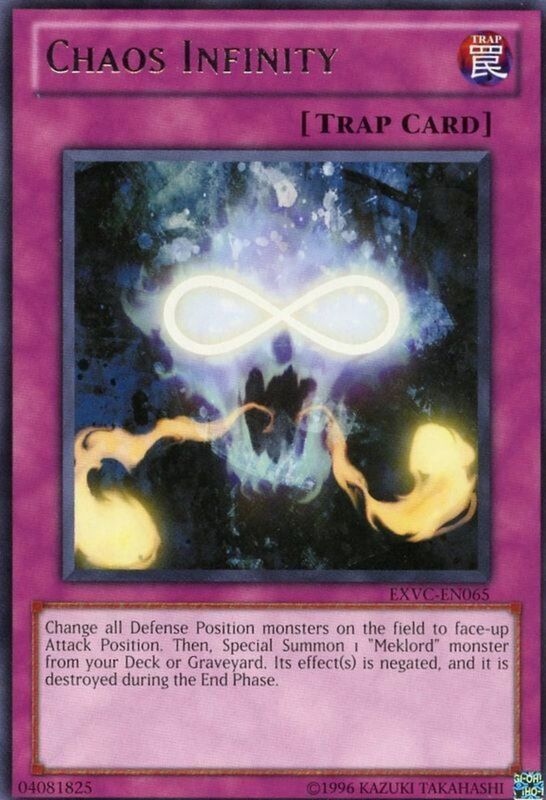 Another rare entry that compliments non-effect decks well, Ceasefire first changes face-down defense position monsters to face-up defense position, but doesn't activate their flip effects, a great way to reveal your opponent's set creatures without fear of repercussions. Even better, Ceasefire then smashes your opponent for 500 damage times the number of effect monsters on both sides of the field. Effect monsters are far more common than normal monsters, meaning it's easy to inflict thousands upon thousands of damage with this single trap, peaking at a whopping maximum of 6000 life points! Formidable in both devoted effect damage decks and regular monster builds. Ceasefire is a versatile trap I've used in several builds; fortunately, it's surprisingly cheap, costing less than two dollars! If you're searching for a different type of game than the usual monster vs monster battles, try a more laid-back effect strategy that stalls while it chips away at opposing life. Because effect damage isn't commonly seen, most players don't incorporate protection against it, leaving them vulnerable to your indirect arsenal. To win with these tactics, you'll need to learn how to play a different type of duel; try experimenting with cards like "Ominous Fortunetelling" and "Ectoplasmer", or turn enemy life gain into damage with "Bad Reaction to Simochi". But for now, as we eagerly await Konami's next batch of effect spells/traps, vote for your favorite entry and I'll see you at our next Yu-Gi-Oh countdown! Um, i'm just correcting you but its ceasefire not casefire. Definitely, if I ever make another countdown like this, you might see some of those cards on it. I like the idea of this article its pretty good. Also would just desserts, secret barrel, secret blast, ring of destruction and dimension wall count in this list?